The eighth BRICS summit in Goa had its anti-India reverberations in the Kashmir Valley. Anti-national elements in Baramullah hoisted Pakistani and Chinese flags after Friday prayers. This coincided with the arrival of Xi Jinping on the Indian soil. The coincidence was lost out on none. The messaging for China’s help by the separatists and the militants in Baramulla injects a new dimension to militancy and jihad in Kashmir. On this very land, how many kinds of flags have been waved or hoisted – flag of Islamic State, of LeT, of Pakistan and now of China. What kind of Kashmiryat is this and what kind of Islam? Invariably, all anti-national demonstrations in the Valley are staged after Friday prayers. Prayers have become a passport or vehicle to violence. When prayers are abused for anti-national activities, it is indicative of the abysmal level that a society has sunk into. It is the level of self-destruction. A society, that compromises with the sanctity of religious arena and its ancestors will never have love for the land. On this very land, how many kinds of flags have been waved or hoisted – flag of Islamic State, of LeT, of Pakistan and now of China. What kind of Kashmiryat is this and what kind of Islam? The youth of the Valley could be least concerned or aware about an International meet on the Indian soil in Goa. 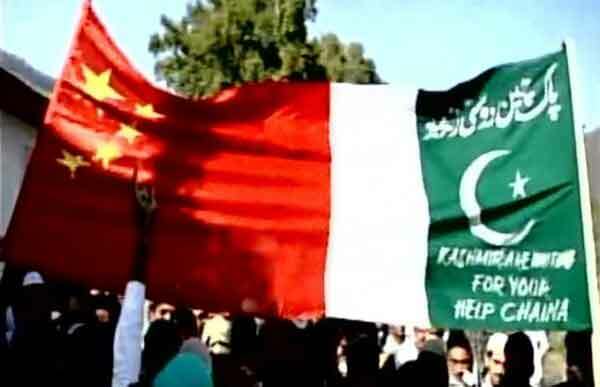 The flag hoisting, it is well understood, has been orchestrated by Pakistan and with backing of China. Jihadis in Kashmir are now trying to intimidate India by flexing China card. It is an attempt to sellout Kashmiri land to a new buyer. China is desperate to see the China-Pakistan Economic Corridor (CPEC) though. 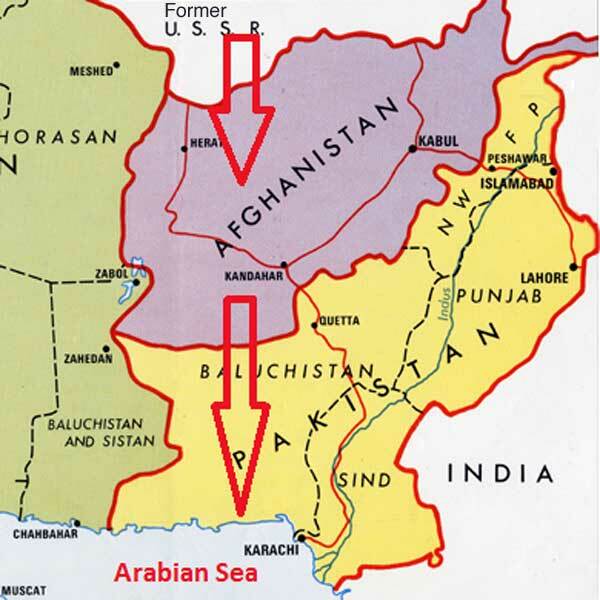 It is desperate for the corridor to make strategic thrust into the Persian Gulf by way of Gwadar. It therefore needs the land of Pakistan as well as the land of J&K. Before Ahmad Khan Rahami planted bombs in New York and New Jersey, he bought bomb-making materials on eBay, linked to jihad-related videos from his public social-media account and was looked into by law enforcement agents, according to the Federal Bureau of Investigation. If only the authorities had connected the dots. That challenge -- mining billions of bits of information and crunching the data to find crucial clues -- is behind a push by U.S. intelligence and law enforcement agencies to harness "big data" to predict crimes, terrorist acts and social upheaval before they happen. The market for such "predictive analytics" technology is estimated to reach $9.2 billion by 2020, up from $3 billion in 2015, according to research firm MarketsandMarkets. It's the stuff of a science-fiction movie like "Minority Report," in which Tom Cruise played a Washington cop who used technology to arrest people before they carried out crimes. It's also a red flag for privacy advocates already fighting U.S. spy programs exposed by Edward Snowden and the FBI's demands that Apple help it hack into encrypted mobile phones. The idea is to make sense of the vast and disparate streams of data from sources including social media, GPS devices, video feeds from street cameras and license-plate readers, travel and credit-card records and the news media, as well as government and propriety systems. "Data is going to be the fundamental fuel for national security in this century," William Roper, director of the Defense Department's strategic capabilities office, said at a conference in Washington last month. If strategic commentary in India in wake of the surgical strikes in retaliation for the Uri terror attack is to be believed, it is not going to be business as usual either for Pakistani security handlers in Rawalpindi or for their foot-soldiers of both hues (regulars and irregulars), on the frontline. While those at the frontlines would likely be up at night here on, like their Indian counterparts over the past quarter century, the brass in Rawalpindi would likely be in a huddle as to what the implications of the surgical strikes are for their concept of ‘full spectrum deterrence’. This article is intended to assist them in their confabulations on the future of full spectrum deterrence. First, what is full spectrum deterrence? Full spectrum deterrence is Pakistan’s nuclear doctrine adopted to rationalize its acquisition of tactical nuclear weapons. Their first nuclear doctrine mirrored India’s minimum credible deterrence. However, with India’s shift in its conventional capability towards proactive operations – colloquially dubbed Cold Start – being demonstrated over series of exercises over the 2000s, Pakistan felt that it needed to deploy nuclear cover to paper over the growing conventional gap. Unlike India, Pakistan has always subscribed to the NATO ‘first use’ philosophy of nuclear deterrence in that nuclear weapons are to deter war, including at the conventional level. In the early nuclear period, the nineties, mindful that India had three strike corps, Pakistan was liable to use nuclear weapons in the case of threat of being overrun in a conventional offensive by India. The lessons of 1971 for it were writ large on this doctrine. The possibility of nuclear use in extremis was held out to deter India at the conventional level. Since India’s was a No First Use doctrine and India had the conventional capability to preclude nuclear use, the premium on deterring India’s nuclear weapons was much lower. Quite like India’s doctrine, it was reckoned as one of city busting in light of few numbers of warheads and delivery systems. I am posting below an telling email received from the most remote Indian village on the Indo-Tibet border. I have repeatedly mentioned on this blog the difficulty to connect the last village of Taksing in Upper Subansiri district of Arunachal Pradesh to the rest of the country (see a Road to the Border). It has been 69 years India attained her Independence, being a citizen of this great country I feel extremely proud to be an Indian. During these 69 years our country has made tremendous progress in the field of science and technologies ; we also joined the elite club of few selected country to be achieved a fate of sending the mission to mars which raise our stature in international level. On the other hand, people of Taksing Village under Upper Subansiri district is deprived of all those developmental activities, still local peoples have to resort tiresome and risky four day trek to reach nearest motorable road. Recently one young person Shri Talok Chader has lost his life in an unfortunate incident of landslide en route to Taksing causing great lose to bereave family member. I don’t know whom to blame for premature death of young life, weather to the state government or to central government. We have been sentinel of the country since time immortal but in return what we are get, underdevelopment and apathy attitude of the government (Union and state government). It is pertinent to be mentioned that Taksing is a frontier village which locate at advance position than defence agencies near Indo-China border. When there is disruption in transportation, electricity and communication in capital complex for a single day, the people get irritate like anything, just think about the magnitude of hardship which dwellers of Taksing renders in a so called 21st century. India has made significant efforts to bolster its economic and strategic ties with South East Asia, Japan and South Korea over the past decade. The current Indian government under Narendra Modi has sought to further strengthen relations with South East Asia, Japan and stressed on the need for ‘Acting East’ and not just ‘Looking East’. Washington has supported a greater role in the Indo-Pacific. 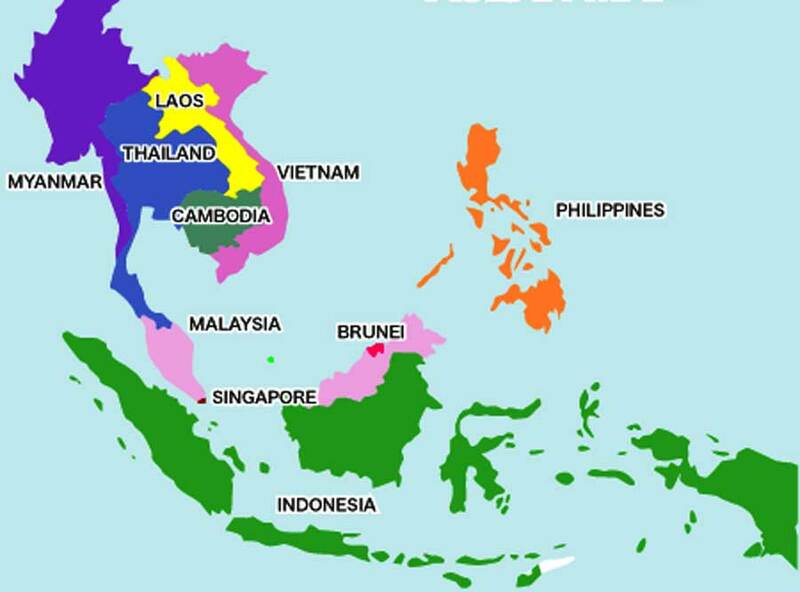 Before commencing his India visit in April 2016, US Defence Secretary Ashton Carter categorically stated, “India is already a very influential and powerful force in the whole Indo Asia Pacific region, starting with the Indian Ocean”. In meetings between the US President and Indian PM Modi, cooperation in the Indo-Pacific region has been accorded high priority. In fact, President Obama who was accused of neglecting India in his first term has invested significant capital in strengthening the strategic partnership with India and been successful in finding common ground with India’s Act East policy. India has responded by joining the Malabar Exercises with Japan and the US. India’s maritime diplomacy has been quite pro-active tremendously, with almost 50 visits and bilateral exercises conducted in the past one year. New Delhi did not shy away from signing the Logistics Exchange Memorandum of agreement (LEMOA), which has been criticized by some strategic analysts for favoring the US. The agreement was first proposed by the previous Manmohan Singh government, but due to opposition from within the Congress party was scuttled. Does the contemporary environment give India the opportunity to position itself as an area of agreement between US and Russia? A November 1964 exchange between US diplomat Chester Bowles and India's then Ambassador to Moscow T.N. Kaul offers a fascinating insight into the contemporary dilemma regarding a sustainable approach to the great powers. While discussing South East Asia, Bowles had remarked, "it would be a good thing if India could try to bring the Soviet and American points of view closer…India's friendship with both could act as a sort of bridge between them." Bowles "hoped that it would be possible for USA and USSR, with the help of India, to come to some kind of understanding about preventing Chinese expansionism and infiltration in South East Asia." Kaul had responded that, "India would be glad to bring the US and Soviet points of view closer as far as lay within our ability. In fact this was our present policy." Kaul's response reflected India's then geo-strategy to position itself as an area of agreement between the US and Soviets. As his September 1965 cable to Indira Gandhi subsequently explained: "The interests of America, USSR and India, have a common feature of being aimed at the prevention of Chinese expansion in this area. This provides an opportunity for India to reap the maximum possible advantage from both sides and strengthen herself for the future." Does the contemporary environment enable a similar opportunity to again position India as an area of agreement between Washington and Moscow? To evaluate such a balance-of-power approach we need to examine the inner workings of the US-Russia-China triangle, which defines the great power setting for Delhi. There are three dynamics that must inform an Indian policy-strategy towards the global triangle. Ministry of Defence, Government of India, has requested information from global vendors in its quest to procure long delayed Assault Rifle for the Indian Army. Purchase of approximately 1.85,000 Assault Rifles of 7.62x51mm-caliber has been forecast. The immediate requirement has been pegged at 65000 rifles. The Request for Information (RFI) has dual aim of seeking information from OEMs and vendors on the product they can offer and identify likely sources that can take on the project.It is expected that a formal tender will be issued in April 2017. An earlier attempt to buy assault rifles in 2011 by floating a global tender to replace existing 5.56mm INSAS had to be called off as only Israel Weapon Industries (IWI) met all the requirements. The present RFI is at variance from earlier one of 2011, in that has given up multi-caliber requirement and seeks single calibre of 7.62x51mm. Thus ruling out DRDO developed ‘Excalibur’assault rifle 7.62x45mm which has failed to meet the user aspirations. The broad considerations specify modular design, lightweight, minimum effective range of 500 meters with limited recoil, compatibility with modern sights with provision to mount integrated sight and multi-option telescopic sights, compatibility with visible laser-target pointers, holographic and other sights and capability of being fitted with 40mm under-barrel grenade launcher. The rifle is expected to be the ‘state of the art’ regarding design, metallurgy and performance parameters to remain relevant for at least the next 25 years. An endeavour has been made to make the RFI comparatively simple which is a good thing.A few experts are however intrigued by the minimum range of 500 meters for an assault rifle. Considering modern battlefield and counter-terror operations, this appears beyond the ranges at which engagements are expected to usually take place. A survey of modern assault rifles across the world reveals that 5.56mm as the preferred calibre. Even Kalashnikov has moved from 7.62mm to 5.56mm for their new AK 100 series of weapons. India’s preference for 7.62mm is due to adherence to the philosophy ‘to kill’ rather than ‘maim or injure’ the enemy. Experiences in low-intensity conflict might have influenced the choice of calibre. How the GSQR/RFP for Assault Rifle Will Be Evolved? Request for Information or RFI seeks information from the vendors and the environment with a view to facilitate the Service HQs in this case the Indian Army to work out the General Staff Qualitative Requirement (GSQR) and then the Request for Proposal (RFP) which will be done in conjunction with the Technical Manager at the Acquisition Wing. This is evident from the main objectives of the RFI specified in the Defence Procurement Procedure 2016 (DPP 2016) which are (a) To formulate/refine/rationalise the SQRs; this exercise may involve rational combination of different product specifications and should result in a practical, achievable and aspirational product requirement. (b) To generate input for structuring the RFP. (c) To aid in deciding the acquisition category, based on the Defining Attributes and (d) To determine the indicative budgetary and cost implications. RFI is also an advance intimation for the vendors to obtain requisite government clearances. This has been specified in the RFI particularly for selection of Indian joint venture partners or manufacturing licence for small arms. An assessment of the joint venture partners will also be made for which the competency map will be prepared by the Department of Defence Production. Importantly in DPP 2016 there are distinguishing factors in terms of Essential Parameters -A. and Essential Parameters B which will be identified in the GSQR. Essential Parameters A are parameters that are generally a part of the contemporary equipment available in the market and form the core of the SQRs; Essential Parameters -A will be tested and validated at field trial stage. Unfortunately, many of India’s media leaders today are the progeny of the old Left trying to remain relevant themselves. JNU today, with its student protests rooted in the Communist Party, reflects the nostalgia of the fading Left for its lost glory days of the bygone twentieth century. The lal salaam or “red salute”, the greeting of comrades, was thrown into the dustbin of history before most of these students were even born. The Soviet Union is no more since 1991 and instead of Lenin and Stalin, Russian leader Putin praises the Russian Orthodox Church and has restored respect for the Czars. Eastern Europe, once under the Soviet bloc, has brought back its older cultural traditions with no regrets. East Germany is now integrated into the powerful German economy, with no one looking fondly back to the poverty stricken days of the Soviet rule. India has Stalinists today but no other country in the former Soviet bloc allows them. China is building Confucian schools and an entire city devoted to Buddhist schools and temples. Its economic machine is capitalist in nature and only communist in name, to protect those who have kept power but changed ideologies. India has Maoists today, but not China. JNU looks back in nostalgia to the western student revolts in the late 1960s. Yet unlike these, it has no peace movements, and no gurus from India among its icons. Would be new Che Gueveras should recognise that the revolutions hoped for at his time went nowhere, and instead, the western world went forward with a high tech capitalism that is now helping India’s economy to grow out of the socialist shackles that have kept the country backward for decades. The old socialism is what caused India’s poverty and offers no economic way forward. When Chinese Premier Xi Jinping visited Pakistan in April 2014 and signed the CPEC agreement, there were un-parallel jubilations in Pakistan. A country badly hit by terrorism1, political unrest, the poor state of education and social health, military’s dominance etc. had not seen a Foreign Direct Investment of even one hundred thousand dollars in years and then came this agreement of $46 Billion. Jubilations were natural. Pakistan started selling itself just when it was one month old. On the other hand, because of Raymond Davis case, Salala checkpoint attack, Osama Bin Laden operation, continuous drone attacks etc, US-Pakistan relations had touched the lowest ebb in their history of 70 years. It was getting more and more difficult for Pakistan to get Coalition Support fund released from the US, leave alone getting substantial civilian/military aid. Signing CPEC agreement was seen as the last lifeline for Pakistan and a God sent opportunity. Pakistani media started describing the grand scale of the project and its possible results that would take Pakistan towards a golden era. Media concluded that finally, Pakistan will be able to utilize its `strategic location` to the full extent. What is this `Strategic Location`? The U.S. strategy focused on population centers ignores historical realities of Afghan’s counterrevolutionary history. The Marines left their last base in Kajaki in December 2013, and the last British and U.S. troops left Helmand in October 2014. Operation Eastern Storm was the last best chance to finish Kajaki with military force protection. It also marked the end of full-spectrum COIN in Afghanistan. As the Kajaki plan fell apart, focus quickly shifted away from the campaign plan to the departure of surge forces in September and an orderly shutdown of operations by the end of 2014. Power demand in the south rose to 125 megawatts by 2014, with only 60 megawatts available—30 from Kajaki and 30 from diesel. After an 18-month tapering period, wildly expensive fuel subsidies at Kandahar city were finally removed altogether in 2015 and the diesel bridge solution came to an end. At its peak, the generators brought power to about half of the city, mostly for businesses, with the rest of the population still heavily dependent on Kajaki. desirable nor is it militarily achievable as a large-scale war is not winnable. India’s objective should be to gradually raise Pakistan’s cost for waging a proxy war and to eventually making it prohibitive. Plans for ‘Multi-Domain Battle’ to project power from land over sea & air. When Anti-Access/Area Denial (A2/AD) is discussed in the United States, it is typically in offensive terms. Conceptually, the aim of A2/AD is to array a constellation of systems, such as long-range sensors, cruise missiles, and even conventional theater ballistic missiles to prevent an adversary use of an area or domain, and deny them freedom of action. For a hypothetical conflict in the Pacific, the common frame is of forward, proactive U.S. forces beset by Chinese A2/AD systems intent on denying U.S. ships and aircraft use of the waters and airspace inside the first island chain, the string of islands stretching from Japan south to the Philippines that encircles China from the sea, and even threatening forces as far away as the second island chain, like U.S. bases on Guam. The idea of a U.S. A2/AD umbrella is rarely considered, but the U.S. Army is working to build a future capability to achieve just that via its ‘Multi-Domain Battle’ concept. On 15 September 2015, a Chinese Long March 2F rocket put Tiangong-2 (Heavenly Palace), the 8.6 tonne Chinese Space Laboratory into the low Earth orbit (LEO) of 380 kilometres. Over the next fortnight, the second of the Chinese Space Laboratories, has completed its preparatory checks and has manoeuvred to a circular 393 kilometre orbit, awaiting rendezvous and docking with the Shenzhou-11 (Divine Vessel) manned spacecraft. The Chinese human spaceflight programme, which began in 1992, has seen a steady, measured and sustained progress over the years. 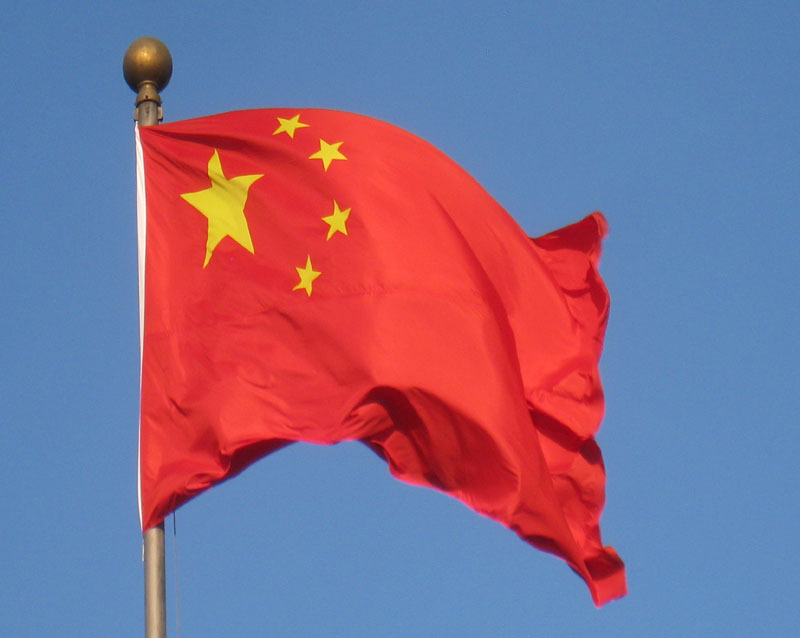 With the success of its first manned mission in 2003 (Shenzhou-5), it became only the third country after the US and Russia to have achieved this feat. Since then it has undertaken five more successful missions (including four manned ones), each aimed at and successfully achieving more complex goals. In September 2008, the first spacewalk by a Chinese taikonaut was accomplished (Shenzhou-7). Over the years, having perfected the design of Shenzhou series of manned spacecraft for carrying crew and having proven its reliability, China has begun its series production. In 2011, it put its first orbital laboratory, Tiangong-1, into orbit. Three missions carried out docking with this orbital module, an unmanned one during the Shenzhou-8 mission in November 2011 and a manned one during the Shenzhou-9 mission in June 2012. The last Chinese manned mission was Shenzhou-10[i] that in June 2013 docked twice with the orbiting space lab, once through automatic operation and once manually. [ii] Three taikonauts had then spent 12 days in the module, conducting experiments and tests and even delivering a lecture to Chinese students on Earth. The New Silk Road, the emerging network of economic corridors stretching from China to Europe, is often referred to as a Chinese undertaking, Chinese economic diplomacy and geopolitical positioning — something that Xi Jinping and Co are selling to Eurasia. But is this really the case? In 2013, Chinese president Xi Jinping introduced the world to something that was called the One Belt One Road (later changed to the Belt and Road) — an interconnected series of enhanced overland and maritime economic corridors that would be used to facilitate and bolster increased amounts of outbound Chinese investment and trade. While this grand initiative was posited in the international media as being virtually synonymous with the New Silk Road and including that the entire east-west, north-south melee of new land and sea ports, highways, rail lines, logistics zones, and new cities, what this actually looks like on the ground is a little different. “The place where east meets west.” This is the Khorgos Gateway dry port where trains from China and the CIS need to change rail gauge. Image: Khorgos Gateway. The terms Belt and Road, One Belt One Road, etc. are basically only used by the Chinese government, the international media, and academics. The people who are actually on-site building this massive political, economic, and infrastructural undertaking tend to call it by the name they’ve been using for over a decade: the New Silk Road. American troops are already fighting in Iraq, Afghanistan, and Syria. Now U.S. ships are attacking targets in Yemen. Does that mean we’re headed for yet another undeclared war? The U.S. Navy blasted three radar installations in Houthi-held territory in southern Yemen, the first direct American intervention in the ongoing conflictthere. The U.S. military is hoping that doesn’t lead to yet another war for American forces. But hope, as the old military saw goes, is not a plan. So far, Pentagon officials are keen to not be drawn into a broader conflict. Rather they called Wednesday’s strike a self-defense measure. But at the same time, defense officials said they were prepared to strike again, should the Houthis threaten American—or even commercial—ships in the region’s waters. The Iranian-backed Houthis are aligned with former Yemeni President Ali Abdullah Saleh, a U.S. ally forced to step down from power in 2012. The U.S. has been providing logistical support for the Saudi-led coalition that backing Saleh’s successor, Abu Rabbu Mansour Hadi, who legitimacy has been questioned domestically. Pentagon officials concede that the region around Yemen is fragile for a cycle of strikes and counterstrikes. That is, the Saudis conduct strikes on behalf of the Yemeni government it supports—often with tragic consequences to nearby civilians. The Houthis, who consider another government legitimate, strike in response at Saudi Arabia and its American allies. And the wave of attacks start anew. Roughly 2,500 years ago, the first great Persian Empire, led by Cyrus the Great, was founded. Over the next several centuries, it grew to dominate a significant portion of the world’s extant population and stretched from western India to the Mediterranean Sea. The inheritors of that imperial Persian tradition are today’s Shi’ite Iranians, and their present-day ambitions for the Middle East—to deepen their influence across the area—will roil the already tense region deeply over the next few years. While Iran’s path to nuclear armament has been temporarily stalled by a diplomatic agreement, the sanctions relief it negotiated as a result is pouring billions of dollars into its economy. A major part of that money will be used to increase Iranian control over Lebanon, Syria, Iraq, Yemen, Afghanistan and other fragile regional nations. They will put increasing pressure on our principal ally, Israel, and continue to collide with our Sunni allies, notably Saudi Arabia and the Gulf states. The Iranians will also increase their ability to use asymmetric weapons such as cyber and terrorism to influence public opinion and increase their freedom to maneuver. And over time, the Iranian relationship with Vladimir Putin’s Russia will deepen. 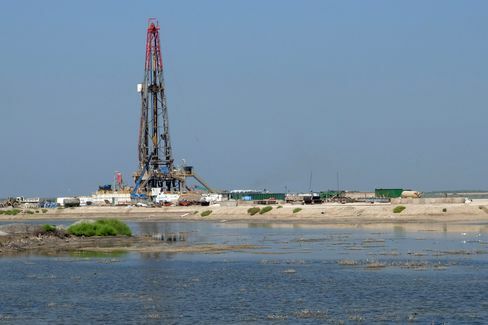 Amid the snake-infested marshlands on Iran’s border with Iraq, the control room monitoring North Azadegan oil field is manned entirely by Chinese technicians. In central Tehran, hundreds of Chinese pour out at noon from the telecommunications company Huawei to its canteen. There are now so many Chinese expatriates here, some say they outnumber all other nationalities combined. A decade of international sanctions aimed at blocking Iran’s nuclear program has left China the country’s dominant investor and trade partner. Now, with those restrictions formally lifted, a more pragmatic Iranian government has been trying to ease dependence on China, only to find itself stymied by hard-line resistance and residual U.S. sanctions. The tension illustrates a more nuanced situation in post-sanctions Iran than is often presented. Many in the U.S., including Donald Trump, portray Iran as the big winner from last year’s nuclear sanctions deal as European companies rush into one of the world’s last big, untapped emerging markets. Yet in Tehran, the government is attacked for failing to deliver and pandering to a still hostile West. On October 2, Peshmerga fighters operating against ISIS near Erbil, Iraq, shot down a small hobby drone, the kind you might buy off of Amazon. But when they investigated the downed device, it exploded, killing them and injuring two French paratroopers, based out of Orleans, according to Le Monde. With that unfortunate blast, it is believed, ISIS claimed its first casualties via a weaponized hobby drone. It was a surprise to some, but not to all. The U.S. military has been pushing anti-drone tech to U.S. forces in the region with “a sense of urgency,” Lt. Gen. Michael Shields, the director of Joint Improvised Threat-Defeat Organization, or JIDO, told reporters on Wednesday. At a media event, Shields and other JIDO officials laid out some of the technologies, both operational and in development, to defeat drone-borne bombs and other threats. They include Spynel, a rotating mid-wave infrared camera that fits on a tall tower called the Persistent Surveillance System Ground, or PSS-G, (the towers have been around since the Vietnam War era; Spynel is new.) Even very small drones show up on the operator’s screen in a red square that marks an incoming threat. As well, a company called IMSAR showed off a new drone-mounted, drone-detecting radar. Along with the sensors, the military is also rushing to equip troops to bring drones down. This summer, someone at the Marine Corps’ Fire Base Bell tweeted a picture of his Battelle DroneDefender, a directed-energy weapon that can disrupt a drone’s control link and GPS navigation at a distance of 400 meters. Battelle reports that they’ve sold more than a hundred to customers within the Pentagon, Department of Homeland Security, and militaries around the world, but getting them in the hands of the Peshmerga has been a challenge. Also, what works in the open desert — shooting electromagnetic energy at drones — may not work in a dense urban environment with lots of consumer electronics around. That could prove a problem when the fighting moves into Mosul. The Nobel Prize in economics for 2016 has gone to Oliver Hart, a British economist at Harvard, and Bengt Holmström, originally from Finland but since 1994 a professor at the Massachusetts Institute of Technology, for their work establishing contract theory as a "fertile field of basic research". Neither economist was a front runner this year, perhaps because their most influential work was completed roughly two decades ago. However, very few will question the Nobel committee's choice. Contracts are ubiquitous in our daily lives because contractual arrangements have to be approved by the parties involved in transactions in a wide array of contexts, including employment, borrowing and lending, insurance and private provision of public services. In several of these cases, many subtle issues are involved in distinguishing "good" or "optimal" contracts from ones that are not so good. Like most theoretical research in economics, contract theory has been useful in understanding why or how existing institutions evolved as well as in designing better institutions. Formal contract theory has been shaped to a great extent by the contributions of Hart and Holmström. Although their most important work was done in the two decades following the late Seventies, their body of work remains just as important today. Indeed, it has become part of the DNA of contract theory. Perhaps the most fundamental principle in designing contracts is the need to strike a proper balance between two competing objectives - the need to provide proper incentives versus the need to obtain the right allocation of risk. The trade-offs involved between these two objectives are apparent in any share-cropping contract between a tenant and the typically absentee landowner. The landlord cannot monitor the number of hours put in by the tenant. So, the possibility that the tenant may shirk his duties rules out the use of pure wage contracts. In other words, the need to provide proper incentives requires the contract to give the tenant a share of the output. How a focus on strategy alone -- or leadership alone -- misses the big opportunities. After years of teaching courses in management, Wharton professors Harbir Singh and Mike Useem realized something was missing from the traditional lessons on how to be an effective manager. Most of the instruction seemed to focus on leadership or strategy, emphasizing one or the other. However, the professors contend that the best managers must possess both skills. In their new book, The Strategic Leaders’ Road Map: Six Steps for Integrating Leadership and Strategy, Singh and Useem provide a six-point checklist for managers to develop strategic thinking along with strong leadership skills. The professors visited with Knowledge@Wharton to talk about the book, which is filled with firsthand accounts from CEOs who have been there, done that. Knowledge@Wharton: One of the main points of the book is that some companies have really good leadership but fail on their strategy. Some have great strategy and fail in leadership. It’s the integration of the two that you talk about as being so important. Could you give an overview of why that’s so important and why companies aren’t doing it today? Harbir Singh: There’s been a lot of emphasis on leadership over the past few years. It’s an evergreen topic. If you look at Microsoft and Steve Ballmer in his term, Microsoft was dominant. Steve Ballmer was seen as a visionary leader and inspired the troops. In fact, his meetings were legendary. The passion, the inspiration and so on. But also in his tenure, they missed the boat on the mobile applications of Microsoft and actually opened the door for many other players in the industry. It has taken some time to try to respond to that. That’s an example of very, very good leadership but really not having enough strategic inspiration and discipline. In fact, what we’ve learned is that the ideas coming in on the mobile side were set aside in favor of the desktop. Sometimes a strategic choice can limit the benefits of very effective leadership and vision. More than 700 security experts from government agencies, banks, cloud companies, battle fictional cyber-foes. More than 700 security experts are battling a fictional cyber crisis featuring power cuts, drones and ransomware as part of the European Union's biggest cyber defence exercise to date. Cyber Europe 2016 kicked off back in April, as since then has been simulating the build up to a major cyber security crisis with a series of fictional attacks on European digital networks, culminating in this week's finale, where security industry experts from more than 300 organisations work together "to ensure business continuity and, ultimately, to safeguard the European Digital Single Market." "Computer security attacks are increasingly used to perform industrial reconnaissance, lead disinformation campaigns, manipulate stock markets, leak sensitive information, tamper with customer data, sabotage critical infrastructures," warns the scenario. The cyber wargame involves more than 700 experts across 30 countries from organisations such as governmental Computer Security Incident Response Teams, cybersecurity agencies, plus cloud service providers, IT security companies, banks, energy companies and other critical infrastructure operators, and is organised by the EU Agency for Network and Information Security (ENISA). It said the exercise "pictures a very dark scenario" inspired by events such as the hacker-generated blackout in Ukraine in 2015 and the dependence on technologies manufactured outside of the EU. Blackouts are one element of the cyber defence excercise scenario Image: Getty Images/iStockphoto More than 700 security experts are battling a fictional cyber crisis featuring power cuts, drones and ransomware as part of the European Union's biggest cyber defence exercise to date.